Have you ever thought that perhaps you may fear being successful? Not everyone does of course, and few probably have asked themselves this question. However, some of us feel if we’re ready to become greater than we are currently, we may contradict our desire and hold ourselves back. Basically, sometimes we’re all talk with little action. We may have a great idea but fear what may happen, or fear even trying to do anything with it. For instance, opening and running a small new business can be intimidating to anyone. But there are those that dream about it and those that take action. Those who wish to build up strength, become healthier or lose weight, realize they should be working out consistently and following proper diet and nutrition protocols. Most know they need to put in the efforts to reach the results they yearn for. Yet, they continue to eat fast food and avoid the gym. Let me tell you something: There is nothing to fear at the gym. Everyone is there to improve on some aspect of their health. No one can judge you when you walk into a gym. We all had to start somewhere and we all didn’t start working out as professionals. The thing is a lot of people who begin working out are doing so because they feel the need. They feel they may be over-weight or that they may be too weak. So don’t be scared or intimidated, because you’re just looking to improve your body and health and those at the gym are supportive. Why do I tell you this? Quite simply, our mind is what controls us. If you believe you’ll be embarrassed at a gym, you’re unlikely to go. If you believe that you truly are welcomed there to work out, you’re more likely to walk in and spend time on exercising. That’s why at PTL Fitness, our personal training Toronto studio has a reputation of being the most encouraging and supportive studio in the GTA. You may often speak about how you wish to be successful, but actions and speech are two very different things. If there’s doubt in you, if you think subconsciously that becoming successful could cause you problems (such as lack of time with loved ones, a lack of freedom, lost love, shame, embarrassment, being vulnerable, or even being rejected), you’re not going to push yourself to succeed. You’re more likely to turn and run. Stop running my friend. 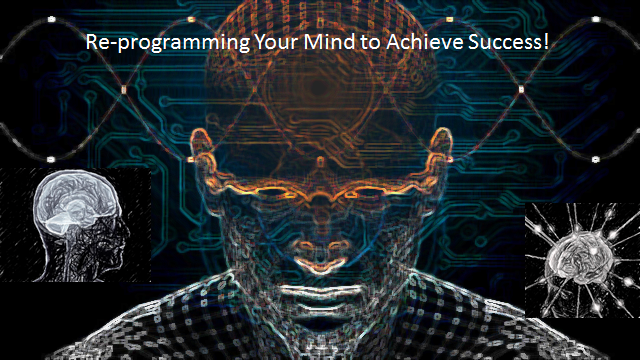 Here are five tips on how you can reprogram your subconscious. Continue these steps and you can succeed at virtually anything, including a good workout. 1. Be humble when you learn of your subconscious’ resistance. Learn what’s holding you back so that you know thy enemy. 2. Specifically target your subconscious’ fears. What exactly does your subconscious have problems with? You really must learn exactly what your subconscious is afraid of. 3. Promise your subconscious that you will compromise it. For example, if you’re afraid that you may lose freedom after becoming successful, promise your subconscious that you won’t do it unless you can still find free time for yourself. 4. Find examples of successful people. Ones that still have what you’re afraid to lose, or ones who have taken embarrassing moments and turned them around. Keep reminding yourself that these people were able to achieve their goals against the odds, so you can do it too! 5. Solidify and affirm. As you keep pushing your new perception on your subconscious, you’ll be able to push yourself further to achieving your goals. Remind yourself that you can lose the weight or gain new muscle mass. You can do it!